Here is a list of key performance indicators (KPIs) that should be used in contact centres, alongside other insights from six experts. People Management (Am I getting the best out of my people?). Percentage of Calls Abandoned, Answered and Average Speed to Answer are the basic hard measures underpinning customer satisfaction. Internally, they can reveal sub-optimal shift patterns or agent scheduling; externally, long wait times means frustrated customers keen to take their business elsewhere. First-Contact Resolution rate is vital for customers who rightly resent being put on hold or passed through different departments. A low FCR can indicate poor internal processes or inadequate staff training. Customer Satisfaction Scores provide direct feedback from the people who count, the customers. Take it seriously and don’t resort to email feedback surveys as your only data-gathering mechanism. Agent Occupancy describes how long the agent spends answering or dealing directly with calls. Low occupancy can indicate overstaffing and high operational costs. Call Transfer Rate tells you if calls are being routed to the right agent first time or whether too many are being redirected thus wasting agents’ time. Cost Per Call takes into account all fixed and variable costs expended in running the contact centre operation and provides an overall gauge of efficiency when compared with similar operations. Total Sales directly measures the revenue contribution of the contact centre. Linked to a correctly aligned reward structure it can drive effective agent behaviour. Sales Conversion should be used in conjunction with Total Sales to make sure that quality leads are being converted. Customer Retention determines whether the contact centre is exploiting its “frontline” opportunity to nurture and retain customers and lock in future profits for the organisation. This is just as true for service-related contact centres as for those with a sales bias. Attrition Rate is a lagging indicator often influenced by the local and national economy. High attrition means high recruitment and training costs, lower average skills and a more costly operation offering a worse service. Unapproved Absenteeism literally measures the health of the contact centre and is closely related to Attrition Rate. Agent Quality enables contact centre management to take a holistic view of agent performance and moderate the hard measures of agent performance which individually may give an unduly biased view of an agent’s performance, for example. The reasoning behind this is that if you were to make a KPI a target that is what people will focus on, so it will immediately skew what’s happening to create that target. However, we need to reach our targets, so what is the answer? Businesses need create a set of KPIs that are different from their targets. So, if the aim of a company is to improve its customer experience, Net Promoter Score (NPS) could be one of the metrics to use, but not in isolation. It’s a fast-changing landscape and KPIs must change, daily of necessary, to take the temperature and maintain the pulse of the contact centre. This may seem extreme at first, but when you consider using different metrics for different things, these “things” will change on different days. For example, some businesses will have a lot going on on a Monday and Friday, but not for the three days in between. Certainly, organisations that take a lot of support calls are going to find things a little bit different on these two days. KPIs need to reveal as much of the whole experience as possible, good and bad, whilst being actionable, as quickly as possible. Don’t just measure the interaction of the advisor, measure the whole experience. Whilst you may not be able to do it, it’s important to understand whether or not the experience with the business was good or bad. Both emotions and resolutions play a key part in how well the customer was served, as whilst customer success in getting what they want is important, some studies suggest that emotion during and after an interaction is even more so. 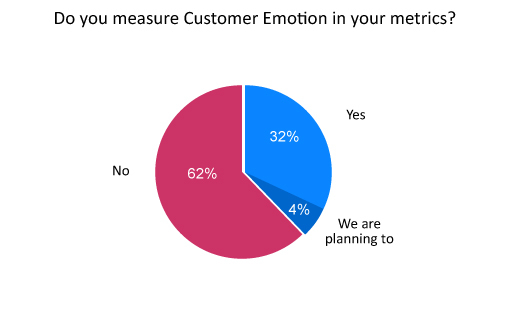 However, as shown in the poll below, less than a third of contact centres measure customer emotions through metrics. One way in which you can track the emotional value that you provide to customers through a KPI is to measure the Net Emotional Value (NEV). There won’t be one metric, or even a group of metrics that will guarantee 100% performance. So, it is important to look for operational guidelines that provide the foundations to work with immediacy, collaboratively and with the best customer outcomes in mind. When beginning to look at metrics in more detail, it will become easier to see which ones are more important. Then the metrics that are not so important can be eliminated, which highlights how the contact centre is a fast-changing landscape. In the multichannel world, tracking cross-channel experiences and measuring digital failure or checkout abandonment is vital. Many businesses that wish to go digital may develop a brand-new website and install a mobile application, but the app may not work very well. Any number of these type of scenarios can happen, and it can increase phone calls! So, it’s important to understand how well each channel and platform is working by using KPIs. It can be a good idea to create a cross-functional team to design the metrics that the contact centre uses and to communicate the rationale behind them. It is very important to get everyone involved, not just people in the contact centre, because of the implications for the rest of the organisation. What are the implications of trying to meet certain metrics on field service engineers for people in the shipping department, for those in the marketing team? Departments should get together to discuss how things should be done. A lot of people rely upon NPS to understand what is happening at the particular moment in time that the customer in question called in: Did they have a good experience on the call? because that may be very different from how happy they were with the outcome. The customer may have had a fabulous experience on the call, but then the delivery is late, the product is broken, the price is wrong, etc. So, the relationship NPS will be very different from how the customer would score it at the end of the transaction, as people may view the service in a very different way. Gaining an understanding of the relationship and differences between symptoms of business success or failure and KPIs can prove beneficial. For example, do increased sales or profit align with an improved customer experience? Possibly not. Instead, the business could be treating customers badly yet making money nonetheless. So, whilst the figure may be important, it is not a good measure of how well the company is doing in the contact centre. Creating a small group of top-line KPIs can lead you to deeper analysis of business health. In other words, develop a small system of metrics that can be taken and integrated together, to highlight how smoothly the business is operating. 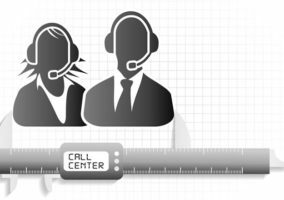 Type of Contact Centre – Sales, service or support? – What is your focus? Same Metric, Different Channel – Do your customers have different expectations on queue time, for example, depending on the channel? Are customers prepared to wait longer for a live chat response than to get through to an advisor over the phone? Speed of Answer – Is this even relevant if the advisor on the other end of the phone is not going to be helpful? Are Transfers That Bad? – Transfers are not necessarily bad, as long as you gain insight on why the call was transferred and act on it. Measuring Advisor Engagement Is a Must – KPIs must include information that measures advisor engagement. This involves measuring empathy and rapport building on the phone, and general contentment off it. Advisor Feedback – Are you providing advisors with constructive, consistent and immediate feedback to help them better engage customers and provide an excellent customer service experience? Immediacy and Personalisation – Can we use metrics more effectively to “personalize” interactions? Whilst it is not sufficient as an overall metric, transactional and relationship NPS scores can play an important role in the contact centre, if you use them together. It is just like a health check, you would not just take someone’s temperature to see if someone is in good shape if their leg was broken. The whole picture is needed. How hard is it to do business with your company? Whilst this may not be the only measure to use, if you start to align it with other things and across all channels, and if measured properly, customer effort can reflect customer expectations and, if acted upon, can lead to good and consistent omnichannel customer engagement. Take retention as an example of a key financial/outcome target of a business. If someone stays on the phone for 20 minutes to keep that customer, and the cost of that call is £25, then that would probably be a good exchange. 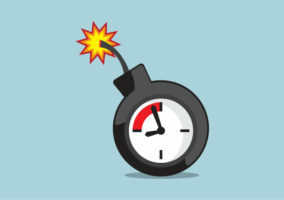 However, if a business were simply to say you were on a call for five minutes and the average is four minutes, so you are not doing a good job, that will not improve engagement or the likelihood that the advisor will do better next time around. So, if you are going to measure AHT, do not to target advisors against it! Measuring emotion either through sentiment analysis or NEV, is very useful to see if a company is getting the right messages across to its customers. Whilst calculating an NEV can be a very subjective process, it is important to understand how well an interaction with the customer went. So contact centres with a greater budget often look into sentiment analysis, a branch of speech analytics that focuses specifically on assessing the emotional states displayed in a conversation. If a business was to simply measure First Contact Resolution (FCR) via a survey, e.g. “Did the advisor answer all of your questions?”, and the customer answers yes initially, but then realises that they forgot to ask another question, is that FCR? Perhaps advisors can come up with a couple more questions at the end of that interaction to prevent this from happening. How many channels does it take to complete an interaction? Do conversations start online or with an app, perhaps they start with an app and then move on to a webchat? In another article, we discovered that Page Leakage, where customers bounce straight from the company website into the contact centre may be another key metric in years to come. Find out more by reading: What’s Next With… Contact Centre Metrics? When an advisor goes into the CRM system for customer contact information, it would also be interesting to know if that customer had written something positive or negative about the business on social media. Having a view about how the customer feels about the organisation that the advisor is representing will help prepare them in terms of approach and tone. In seven years of research into call centre performance management, I have placed a lot of emphasis on what KPIs companies should use to monitor and assess the performance of their centres. However, I have found companies pretty much stick to standard metrics, such as queue lengths, volume of calls, average call handling times, holds, transfers. To improve, I advocate that companies think in terms of categories of metrics (operational, agent, customer), types of metrics (efficiency, effectiveness, root-cause), and currency of metrics (historic, real-time, predictive). Whilst doing this, companies will have to address the state, quantity and types of data they will need to access and what technologies are available to support this transformation. The metrics currently used by most centres fall into what I term operational metrics. These mostly relate to how the technology is performing and the throughput of the centre. They are almost entirely about efficiency and don’t say much about how successfully the centre is performing at delivering business objectives. They link very closely with cost and as such will always be an important part of any centre’s KPIs. However, centres are not just about efficiency of operations, they also concern people – agents and customers. When it comes to agents, most companies rely on their quality monitoring processes to allocate agents a quality score and to identify what training they require. More advanced companies use technologies such as speech analytics to identify what their agents are saying, how they are satisfying customers and how well they are performing at solving customer issues. Advanced companies are linking these metrics to call routing so that calls are routed to the agent most likely to achieve the best outcome from any one call. They also look at root-cause analysis to understand why calls are occurring and why the outcomes are what they are. This will enable companies to address these root causes, which is likely to have a far more dramatic impact on call volumes and average handling times than focusing on pure operational efficiency metrics. The type, currency, validity, volume, quality, etc. of any set of KPIs depends on two things – the data they are based on and the technology used to derive the metrics from the data. A study I did a while ago showed that companies have, for example, customer data in 22 different types of systems, everything from network control databases, CTI systems, to applications such as CRM, ERP, billing systems, knowledge databases, and of course spreadsheets. To these, companies have to add unstructured data such as emails, letters, forms, surveys, call recordings, web scripts, IVR usage, IM scripts, text messages, blogs, tweets and videos. In fact, there are if anything more unstructured sources than structured. The good news is that vendors are rising to the challenge. There are now customer data management vendors that support the creation and maintenance of high-quality data sources, vendors that can access every form of data, and vendors that can access data inside and outside the firewall. Occupancy, expressed as a percentage – This helps identify how much time an agent is actually “speaking live” to your customers. As a rule, the higher the percentage, the better, but be careful it isn’t too high. Unless you’re in a highly specialised role (directory enquiries services spring to mind) too high a number might indicate either a lack of attention to after-call work, or an inaccurate measurement. Pretty simple so far. But this is also where it starts to deviate depending on the role of the contact centre. Conversion – The ratio of calls to closed business (or appointments, or promises to pay, whatever your centre’s goals are). This can be calculated through a simple result code that your agent can key into their ACD phone (assuming your ACD supports this). Average call length – Depending on what you’re selling, this can vary greatly, and there are no right or wrong answers to it. For example, someone selling a mortgage product will be permitted a much longer average call length than someone who places orders from a mail-order catalogue. First call resolution (%) – Being able to resolve the customer’s query/concern on the first call made. A nirvana for most customer service centres, but much more difficult to achieve in real life. Average age of query – Failing to resolve the query on the first call, this metric calculates the average amount of time that a case remains open. Naturally, the shorter the better. And most organisations should be able to have the reporting capabilities to track/trend this. Customer call frequency – A metric to indicate the frequency of repeated calls from the same customer. This helps identify if correct information was given in the first place, or if there are repeated issues with a particular element of your business. These terms are a bit generic, and many business will use their own jargon or acronyms to describe some of these concepts. There are lots of others that can be applied to other more specific operations too. Contact centres are at the heart of the customer experience and as such are under constant scrutiny from the public and the industry to provide a consistently high level of service. It is commonly acknowledged that the sustainable differentiator between companies is now the level of service they provide and the subsequent impression left with the customer when each call ends. As such, the performance measurement criteria used by a contact centre should complement and not conflict with each other in order to achieve a successful level of service. Organisations need to be clear as to what their overall objective is in order to establish what they are looking to achieve as a business, whether this be maximising profits, maintaining high levels of customer satisfaction, recruiting new talent, driving new business or all of these things. Managers can then create and execute successful plans for each area of the goal. However, if a brand fails to consider its intentions at the start of a project, it is in danger of potentially skewing one set of results, which could be detrimental to another. To understand whether a contact centre is developing in the right direction, it is essential to use some form of customer satisfaction survey. A CSAT Index, for example, can be simply implemented to measure customer satisfaction and loyalty. The survey method can help to reduce the complexity of implementation and analysis frequently associated with measures of customer satisfaction. In turn, this provides a stable measure of business performance that can be compared across business units. Another critical factor is proactively assessing customer advocacy and word-of-mouth feedback by looking at whether existing customers are talking about the services and products on offer. Brands should be continually looking for new ways to elevate their service, not only to ensure repeat business from customers but to activate the spread of the business name through word of mouth. The internet has given consumers the ability to express their opinions on an easily accessible platform where they can openly applaud or criticise a brand and its service. Word of mouth online can work in two ways; negative comments posted on review sites or Twitter can be read by thousands of people and become a deciding factor in brand or product choice. Conversely, a satisfied customer can pass on positive comments which can have a considerable impact on a brand in terms of generating new custom and increasing profit. To drive customer satisfaction there should be a clear definition of first-contact resolution and the opportunity to provide customers with better processes in response to their needs. It is essential for managers to look at how efficient their contact centre’s current processes are by identifying any existing weaknesses in first-contact resolution. A focus on speed of delivery can often mean contact centre agents have far less interaction with customers, which can result in them feeling less valued and can remove the personal aspect from conversations. In order to monitor first-contact resolution effectively, contact centres can use automated technologies but in the initial stages agents should be trained to handle situations without any props. To do this, agents should be briefed on the detailed processes that will solve customer problems efficiently and appropriately. Managers must ensure that customer’s satisfaction levels remain high by establishing a timeframe to monitor customer requests and track progress. Through this approach, contact centres can save money and essentially avoid losing customers. For contact centres, an essential indicator of performance would be one which considers the value of the brand to the consumer. This can be analysed by looking at how many products a customer has purchased from that organisation and the value that this relationship has generated. To fully understand a consumer’s affinity to a brand, a contact centre must distinguish whether the customer is heavily engaged and happy with the service being provided. In theory, customer lifetime value represents exactly how much each customer is worth in monetary terms, and therefore how much a brand should be spending to acquire and retain them as a loyal customer. Those customers that are defined as giving greater lifetime value can be maintained with approaches tailored to them. It is essential to provide a positive working environment in the contact centre, recognising and rewarding each individual’s efforts. Agents should feel they can openly contribute and are supported when exchanging ideas during day-to-day activity. 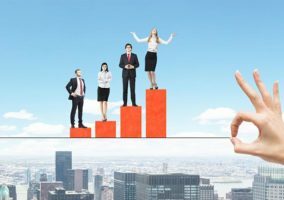 To achieve this, it is essential to evaluate and measure turnover, employee satisfaction, employee attitudes, and management effectiveness continuously in order to develop the potential of the workforce. It is equally important to look at hard, quantitative measures of call centre effectiveness. This can be done by looking at how quickly agents are able to resolve calls and the ability to build rapport whilst gaining additional insight and data. Encouraging a customer to impart any information, especially in light of the somewhat negative view the media has placed on the use of personal data, can be a challenge for agents but will enrich the customer service experience. But a warm, personable, individual and interested conversation can overcome this, and an agent who is able to do this well can open up opportunities for subtle cross- and up-selling, generating more income for the organisation. Everyone is familiar with the classic contact centre performance report – it’s all about numbers: how many calls were received, how quickly they were answered and how long they lasted. There’s a lot of focus on statistics, and we probably only use them because that’s the format that our ACD equipment generates. But the problem with average statistics is that they often lead to average performance levels. As a result, contact centres can get locked into quantitative assessments that don’t always offer up the kind of insight needed to move an operation forward. This means that managers aren’t spending enough time asking more critical questions. By concentrating on averages they are effectively hiding the performance variants that might help them to improve key factors such as overall customer service quality or agent adherence. That’s why we think that contact centres need to start looking for more granular metrics and KPIs that will allow them to identify performance exceptions. This can help shift the focus towards more meaningful measures, such as quality scores based on a sample of calls. Once these types of metrics become established, organisations can start to use exception-based reporting to build balanced scorecards featuring essential KPIs such as first-contact resolution and customer feedback. Once the core operational metrics are in place, it’s also possible for contact centre managers to apply the same approach to other key parts of their operation, including customer contact history, self-service, customer feedback and agent classification. The ultimate goal would be to have a record of all contacts and self-service interactions stored within the customer record. Customer feedback data can also play an important role in providing an external counterbalance to internally generated records. You can start the process with quarterly customer satisfaction surveys, and progress towards post-interaction surveys across all channels. It’s also important to gather data from the agents. It’s surprising how many contact centres don’t actually log post-contact classification data around the reasons for a customer’s contact and its outcome. Automating the agent’s entry into the customer record can provide managers with an element of real-time reporting, and provides the ability to carry out ad hoc queries to establish the reasons for current contact volumes. There’s no point collecting all this data unless you do something with it. Regular automated reports that feature a balanced spread of service metrics can be broadcast to stakeholders at regular intervals, while more advanced reporting processes can use analysis and reporting tools to allow more complex queries to be made. We believe that if you limit your performance measurement and KPIs to the most basic record keeping and reporting, then you’re probably going to the limit the overall potential of your contact centre operation. The right measurements really can make a difference. 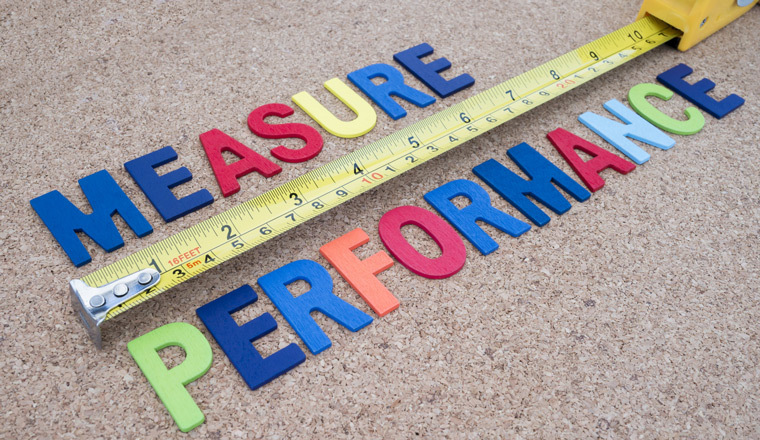 Which other KPIs do you consider important in the contact centre? Originally published in July 2010. Recently updated. I need a generic template for a performance plan for an inbound call centre agent. Please can you help? Can you please send me KPI & Balance score card templates. thanks a ton. Can you please send me KPI & Balance score card templates. thanks. Would someone be able to tell me how many calls an inbound centre with 2.5 staff can be expected to handle in an 8 hour day. We have only recently upgraded our phone system which allows us now to monitor the number of incoming calls and we are averaging 150-160 calls per day. But we don’t have anything to compare it to as we didn’t have this facility until only 3 months ago. So I don’t know whether this can be classified as “busy”, “not busy”, “average”??? Appreciate your comments. Thanks. This is all very veyr good stuff. I have a question regarding KPIs relating to scheduling and forecasting of calls. Would someone be able ro tell me how to measure staff morale? Also, do you know any specific KPI’s for aged care contact centre? This is great article however in our case (company) it’s very tough to define what KPIs do we want from our employees. We are call center with about 50 agents, working on 3-4 schedules. Peak of calls varies all the time, sometimes peak is 12:00 – 16:00, sometimes 18:00 – 21! Problem is that first one is one day, another one could be another day (it’s never same one). If we say that KPI should be 150 calls, than we have a problem if call length increases due to technical problems, or vice versa for information. Another question is, can we ensure quality, if we push agents to reach target of calls answered? Regarding agent occupancy, there can be times when agent has to wait more than 1 minute to receive the call, so i would really appreciate if someone tells us whether we should count also ready time in occupancy or not and why (if yes/no). Hope to hear from you experiences on the past and best practices. Same situation here, how to predict with formula how many employees are needed to handle flow, when flow is quite unpredictable. Is there a service desk KPI best practices benchmark report available to be shared to benchmark against my company performance in 2013? Can anyone tell me best practice for recording a short call as an abandoned call please. Can anyone of you please send me the KPI format ? My boss asked me to prepare my last 3 months KPI but I have no idea how will I make it. thanks ! How can I structure the KPIs of an Inside Sales Contact center in which the achieved goals are JOB AD,NEW CLIENT, SALES, CALLS. How do i optimize a team of 15 agents to achieve 10,000 job posting monthly? What KPIs do you need for Complaint resolution and service recovery manager. Sales/Money Collection – set your team daily targets and manage staff on individual monthly targets. Daily targets will get everyone engaged and your team will really push to achieve. It can also be a fun exercise. Quality – Have a good quality framework that staff must adhere to on calls. Measure this by call monitoring a select number of calls per agent each month. Complaints – set targets based on how many complaints you receive daily and the timeframe provided to customers on when this will be addressed. Under promise, over deliver to increase your customers satisfaction with a timely resolution. Use a Tier level system e.g. Complaint Category 3 (resolution due within 2 days) etc. After complaint is resolved – send email surveys either at random or give your staff a KPI to send surveys themselves to 85% of customers. Unplanned absenteeism should be forecasted along with call volumes and resource planning. Any unplanned absenteeism above this should be the KPI e.g. 10% already factored in. KPI should be no more than 10%. This KPI is a management level KPI and should not be an individual staff KPI due to potential discrimination. Attrition KPI should be an annualized figure as there will be seasonal change e.g. new year, when uni starts etc. What KPI would you suggest for email handling? – % of emails responded to in 1 hour. I’ve been a call center manager for many years at the same company, albeit evolving. I find myself in a new call center, in a new industry…medtech. Looking for some very awesome conferences, meetings, etc… to attend, explore, and advance my call center skills as a leader. Thoughts and suggestions are most welcome.